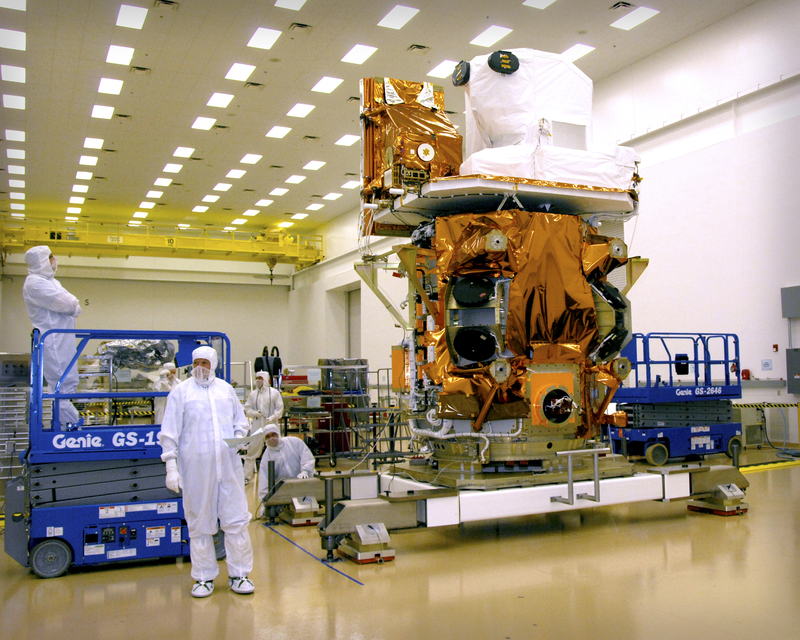 Both Landsat Data Continuity Mission (LDCM) instruments have been mounted to the spacecraft at Orbital Science Corp. in Gilbert Arizona. In this photograph the Thermal Infrared Sensor (TIRS) and the Operational Land Imager (OLI) can be seen in their payload positions on the LDCM spacecraft at the Orbital facility where the spacecraft integration is ongoing. 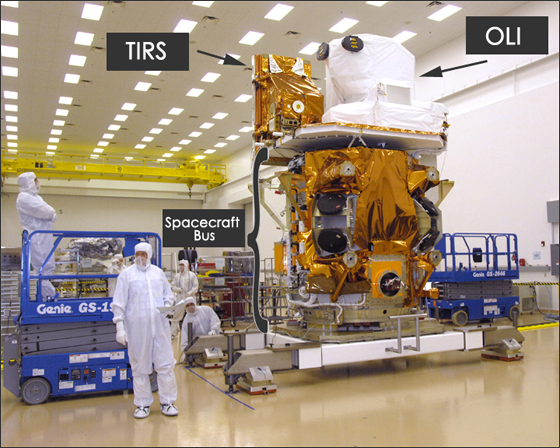 TIRS is covered with gold-hued Multi-layer Insulation, and OLI is covered with white Tedlar insulation.Photo credit: Orbital Sciences Corp. This entry is filed under Landsat 8 Components, News.